The press conference to present the "Jesolo Sand Nativity 2018" event was held this morning in the Municipality of the City of Jesolo. 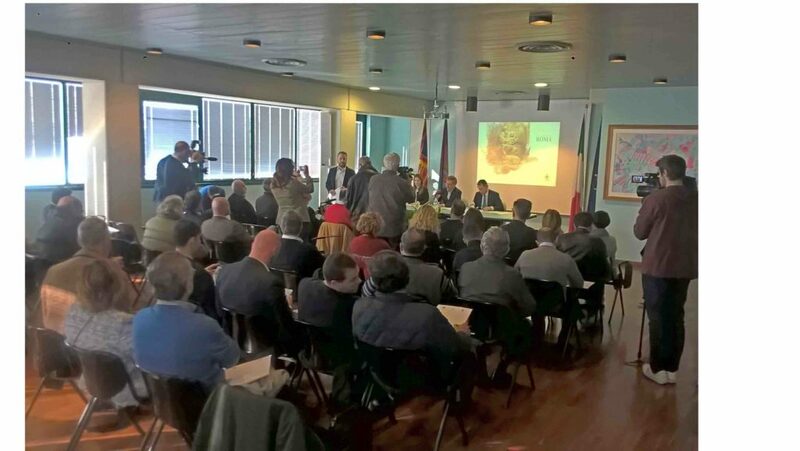 In a room full of journalists from all over Italy, the Mayor Valerio Zoggia, the Tourism Councilor Flavia Pastò, and the Vice-president of Veneto Gianluca Forcolin, coordinated by Pierpaolo Biral from the Press Office of the Municipality of Jesolo, presented the Sand Nativity 2018, that will be sculpted in St. Peter's Square in Rome. At the beginning was shown the video-greeting recorded by the Patriarch of Venice Francesco Moraglia, which could not be present due to previous commitments at the Vatican (this appointment was initially scheduled for October 29, but was canceled due to the exceptional weather conditions). The Patriarch was and is the main promoter of the roman adventure of the Sand Nativity, accrediting it at the Vatican ministries and, at the end of a laborious process, making him receive the definitive "placet" of the Pope. In the message was highlighted that the Sand Nativity fascinates because of the poor and ephemeral nature of the material of which it is composed, from which springs an emotion that strikes and remains etched in the memory. The Mayor Zoggia told how everything was born more than two years ago, in January 2016, with a first visit by the Patriarch to the Jesolo Sand Nativity, followed by a first letter sent to the Vatican with a “declaration of interest” for the construction of the traditional Christmas installation of St. Peter's Square. In the meantime in Jesolo, as every year, at the same time we proceed with the construction of the 17th Sand Nativity in Piazza Marconi. The Tourism Councilor Flavia Pastò has listed the historical economic results of the Jesolo Sand Nativity, which does not provide for an entrance ticket, but the possibility of making a donation: in this way tens of thousands of euros are collected each year and then distributed to solidarity projects deserving financial support. The Councilor then underlined how the Sand Nativity is to be seen as a gift from the small community of Jesolo (26,000 inhabitants) to the entire Christian community, with the aim of bringing a local and original idea to the center of the Christian world. At the end the Vice-president of the Veneto Region, Gianluca Forcolin, congratulated the Municipality and the Patriarch for the splendid initiative. Forcolin stressed the organizational challenges involved in transport, with dozens of trucks loaded with hundreds of tons of sand, from the Veneto coast to the territory of a foreign state, together with all the necessary technical and support equipment. Forcolin then went on to praise the traditional industriousness and generosity of the people of Veneto, further put to the test even by recent adverse weather conditions. In light of all this "the patronage of the Region could not be missing". 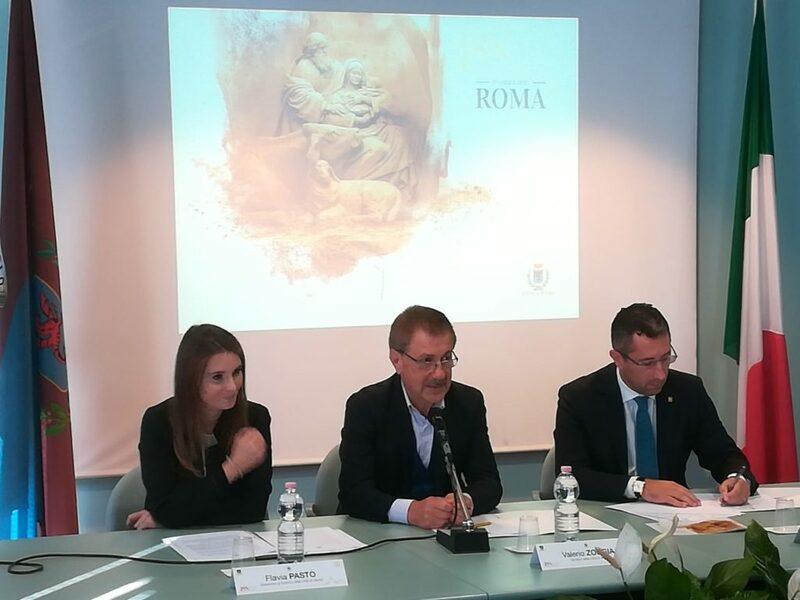 With this press conference, the project Sand Nativity 2018 was officially launched, which will be inaugurated on December 7th in Piazza San Pietro in Rome.